The Illinois Supreme Court has declined to hear an appeal made by the Episcopal Church in its lawsuit with the Diocese of Quincy. 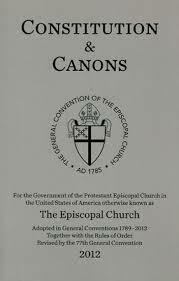 The decision not to review the Fourth Appellate Court of Appeals decision, published on 26 November 2014, leaves standing the lower court finding that the Constitution and Canons of the Episcopal Church of the USA do not forbid dioceses from withdrawing from the national church. The national church may appeal the ruling to the U.S. Supreme Court or ask the Illinois Supreme Court for reconsideration. However the US Supreme Court has declined to hear related church property cases. The decision upholds the opinion of the Fourth District Court of Appeal which found the Episcopal Church was an unincorporated association of dioceses formed under American common law. Under the First Amendment of the U.S. Constitution – Freedom of Association – dioceses, as distinct legal entities, have the right to join or leave a group at any time. The Illinois ruling is likely to influence other state courts, said canon lawyer Allan Haley – an advisor to the Diocese of Quincy. “The decision will come as a very useful precedent for the courts in the other pending diocesan withdrawal cases — which present a unique question that the Illinois court is now the first to have definitively decided. Watch for the withdrawing dioceses to cite the case to the courts in Texas (Ft. Worth), California (San Joaquin) and South Carolina,” he said. This entry was posted on Thursday, November 27th, 2014 at 5:07 am	and is filed under Uncategorized. You can follow any responses to this entry through the RSS 2.0 feed. You can leave a response, or trackback from your own site.